We highly recommend all Western Australia workers obtain both the RAL as well as the CPCCDE3014A nationally recognised unit. There are several benefits. Firstly, the nationally recognised unit has a strong practical component. We believe you learn more by doing. 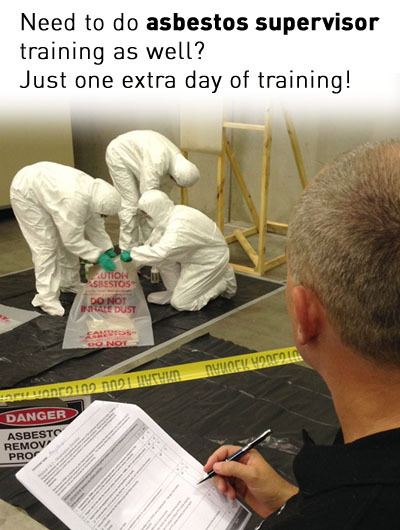 You will be placed in a simulated worksite setting and will be shown and practice how to safely remove asbestos (of course, no actual asbestos is used in training). 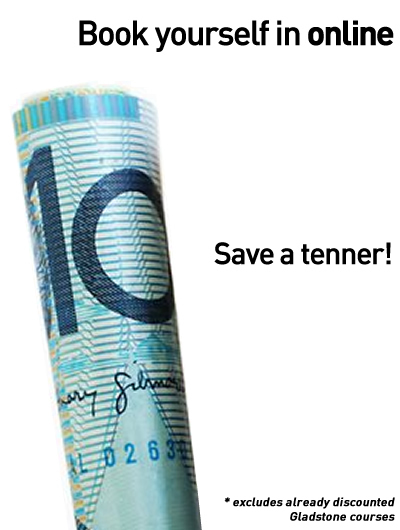 Secondly, holding this unit allows you to work Australia-wide on any site. It also future proofs you in case WA should decide to follow in the footsteps of all other States and require workers to hold the national unit. We believe in encouraging this training so much we are only charging $20 more than the RAL-only course, even though it costs us more than this to deliver the training to you. This is a dual certification program. 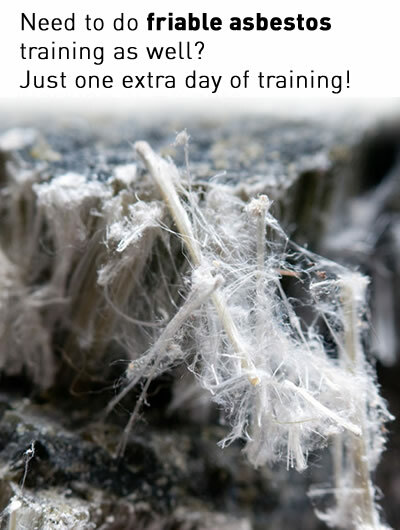 Pinnacle Safety and Training are approved by WorkSafe (WA) to deliver the course WSRAL001, which is a prerequisite for you to apply for a Restricted Asbestos Licence (RAL). Students who are deemed competent against WSRAL001 will receive a Statement of Completion. This statement is issued by Pinnacle Safety and Training (RTO 40496). Students who are deemed competent against CPCCDE3014A will receive a Statement of Attainment recognised under the Australian Qualifications Framework. This certification is nationally recognised. This statement is issued by Pinnacle Safety and Training (RTO 40496). It has been recognised for many years that asbestos is a hazardous substance. 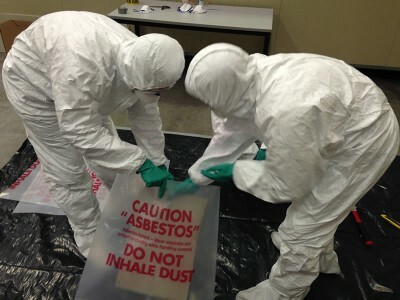 The people who work with asbestos must be trained in the safe way of handling and transporting the material. There is a duty of care that all removal of asbestos containing materials is carried out in accordance with the Occupational Safety and Health Act 1984, the Occupational Safety and Health Regulations 1996 and Part 9 of the Code of Practice for the Safe Removal of Asbestos – 2nd Edition [NOHSC: 2002 (2005)] and the Code of Practice for the Management and Control of Asbestos in the Workplace. 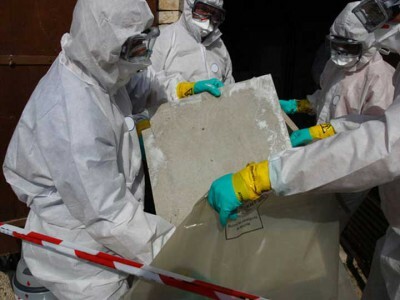 A Restricted Asbestos Licence (RAL) is required by law in Western Australia for the removal of materials that contain non-friable asbestos, also known as Bonded Asbestos or Class B Asbestos. The Restricted Asbestos Licence allows people to remove amounts exceeding 10m² of bonded (non-friable) asbestos. Upon completing this course, you are required to submit an application directly to WorkSafe WA to apply for your RAL. This licence is valid for three years. For more information on licence requirements, including demonstrating you have experience in asbestos removal and details of how to apply for a licence, please visit WorkSafe WA. We recommend you visit the WorkSafe WA site and research the licence requirements prior to completing the course. This course (WSRAL001) is a legal requirement in WA for workers who need to remove more than 10m² of non-friable asbestos within Western Australia. The RAL is only applicable in Western Australia. States other than WA require the CPCCDE3014A - Remove non-friable asbestos unit of competency in order to permit a worker to remove more than 10m² of non-friable asbestos. This is a nationally recognised certification enabling you to operate in states other than Western Australia. operating in other states of Australia. 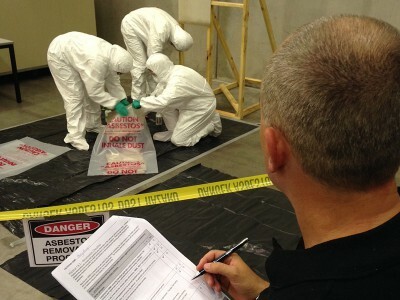 Our dual-certification, nationally recognised remove non-friable asbestos course is designed for anyone who may be required to manage or remove asbestos anywhere in Australia. The morning will be spent covering the aspects of the WorkSafe WA WSRAL001 program. Participants are required to attain an 80% pass mark on their WSRAL001 written examination to be able to apply to WorkSafe for a Restricted Asbestos Licence (RAL). The afternoon will cover the requirements of the nationally recognised CPCCDE3014A - Remove non-friable asbestos unit of competency. This section is well-received by participants as it includes a significant hands-on practical component. 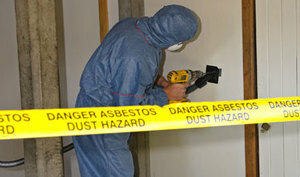 At least 50% of the time is allotted to the practical aspects of operating in an asbestos worksite. This training course is taught by experienced instructors who will outline theory and practical scenarios that are relevant to your work site.